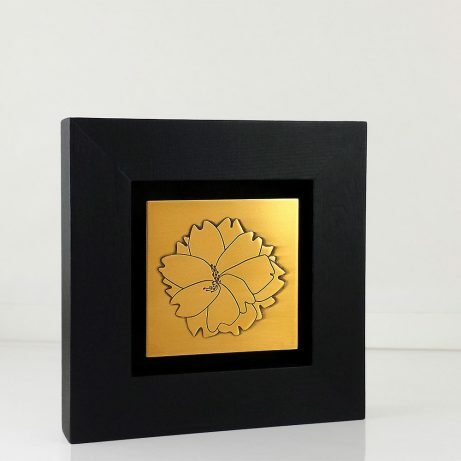 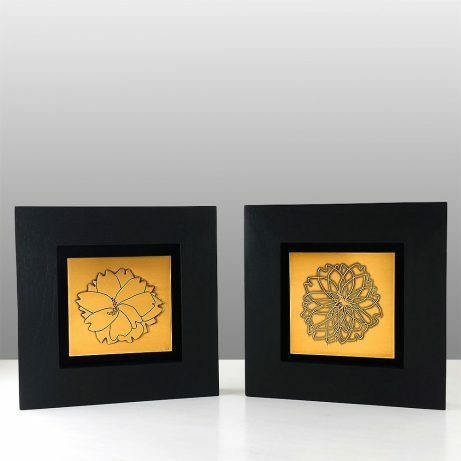 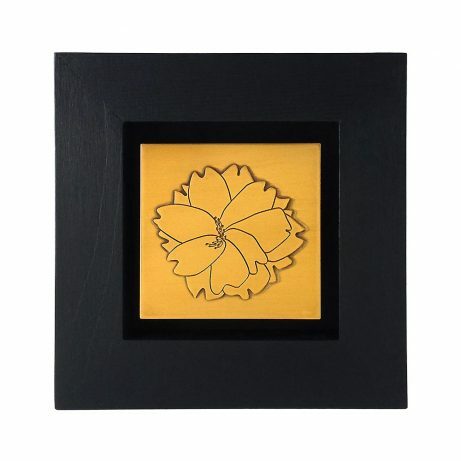 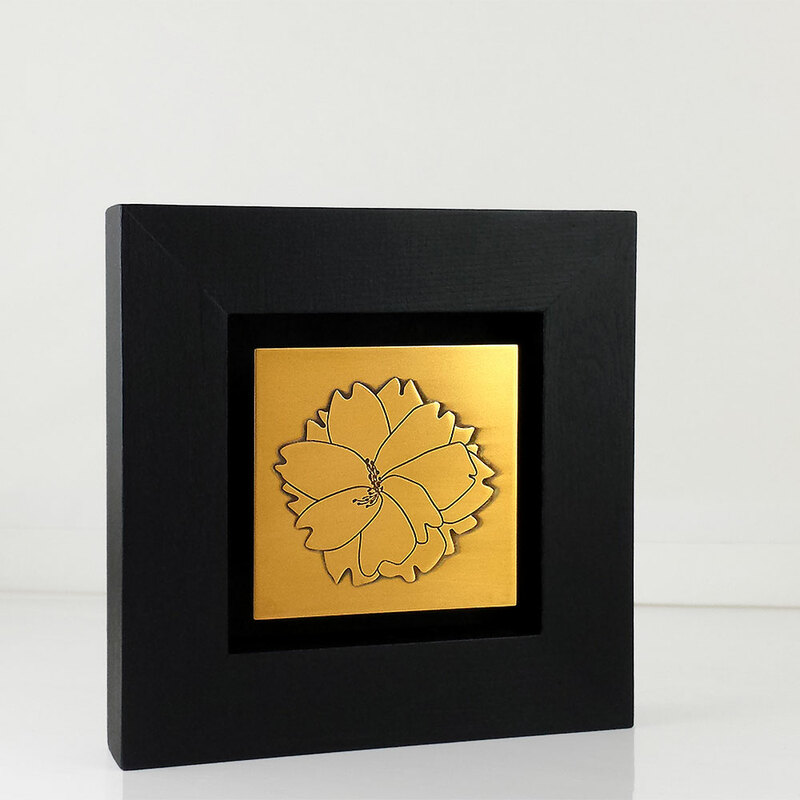 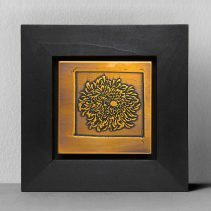 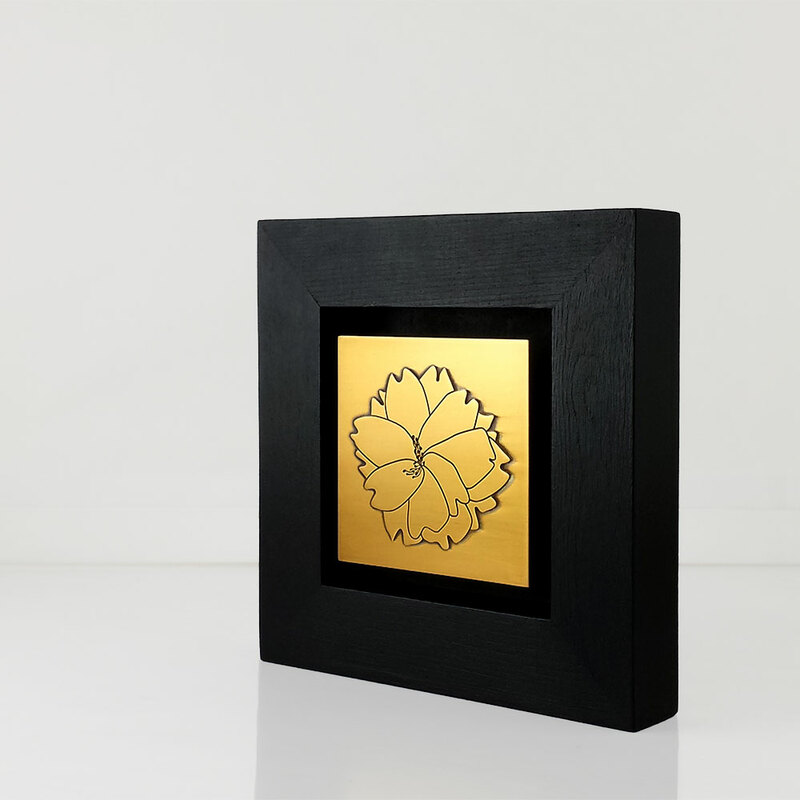 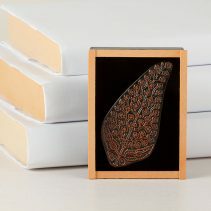 Petite etched brass panel featuring a drawing of a single cherry blossom. 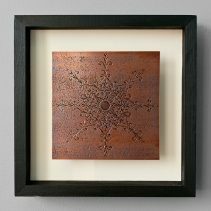 Original work stamped and signed by the artist. Mounted in a black wood frame. 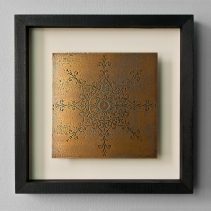 Hanging kit included.